When I was 5, I thought that I knew how the world worked. After all, I could now cross the street by myself. For Ellen Malin Six growing up in Chicago in the Forties meant counting five taverns on a block before making a turn to the schoolhouse. When I was 21, I walked into the world with a degree in my hand ready to conquer and overcome. Surprise. The world was not waiting for her. When I was 50, I was fully vested in the world. I had a husband, three daughters, a career, a home, family, friends, faith and enough fortune to enjoy the riches of life. Her journey led her from the South side of Chicago to Lithuania, a place that she knew only from her mother&#x2019;s bedtime stories. It was five years after the country had reclaimed its freedom from the Communists. 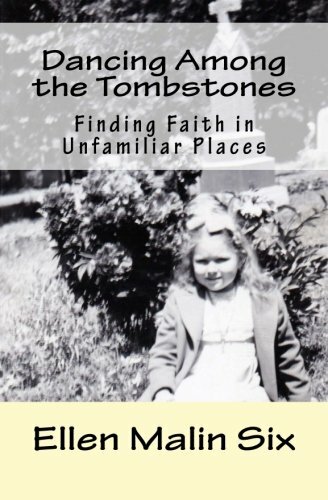 She found herself in a cemetery searching for markers of faith and for her own heritage. When I was 70, my husband died. All that I thought and everything that I had learned, and all that I knew, no longer made sense. Tombstones have been the markers for her life. Ellen Malin Six has a doctor of ministry degree from Berkeley California and currently teaches courses in Religion and Women's Spirituality at a university in Northern California. She is an award winning writer who has been published in local anthologies.